Thomas Cook know a thing or two about family holidays. They’ve been serving them up for over a decade! They know that kids clubs, all inclusive board and water parks onsite can turn tantrums into squeals of joy. Their holidays are designed to make your holiday as stress free as possible, and to keep children and adults alike entertained for hours. With sunny skies and clear blues seas, it’s not hard to understand why Turkey is a firm favourite with holidaymakers. 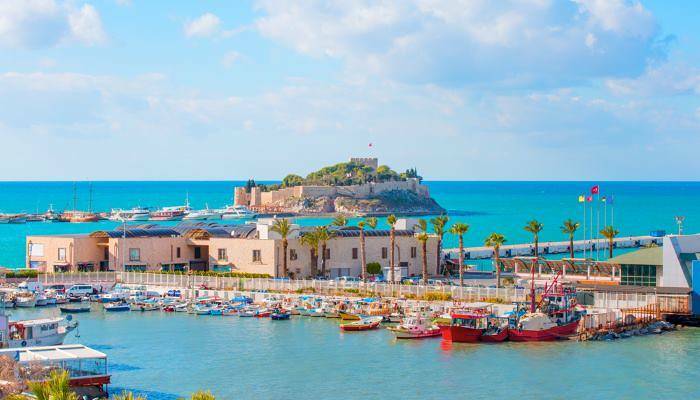 Expanses of golden sands provide the opportunity to dig out your bucket and spade, and the number of ancient castles that dot Turkey’s coastline offer up the chance to play make believe. Here, we round up Thomas Cook’s top Turkish resorts for families looking for a relaxing getaway. Thomas Cook offers a whole host of all inclusive resorts in the Bodrum region, meaning that you can kick back in the sunshine without worrying about a thing. The resort clings to Turkey’s Aegean coastline and as such, many of the hotels here sit beside miles of golden sands that slope gently into azure waters. Bodrum enjoys highs of above 20° between May and October, seeing in blue skies even when the UK is decidedly gloomy. Whilst in Bodrum area, you can stay at the Bodrum Resort & Spa where basketball courts sit beside a swimming pool dedicated to slides, and kids clubs are run for those between four and 12 years old. Alternatively, you could stay at the Ersan Exclusive Resort & Spa which boasts its very own aquapark! Izmir is a province which marries modernity with ancient ruins. There are expansive all inclusive resorts with cool, blue swimming pools, as well as a large zoo and the bustling city of Izmir, all alongside the jaw-dropping ruins of Ephesus. With a flight time of just under four hours, Izmir has the shortest travel time from the UK of these Turkish resorts – something that is especially important when flying with young children! Thomas Cook offer a plethora of family-friendly properties in this intriguing region. You could stay at the Ramada Kusadasi which boasts three large outdoor pools (one with slides) and a beachside location. Little ones will love the chance to have a boogie at the mini-Disco too! The Pine Bay Holiday Resort is also a great option for families with its beach volleyball courts and onsite waterpark. Located on Turkey’s Turquoise Coast, the resort of Antalya enjoys postcard-worthy beach scenes. Thomas Cook have made Antalya home to an array of all inclusive family-friendly hotels, and it’s not hard to understand why. There are flights to Antalya available from 13 UK airports and the resort offers a short transfer time, making your journey as stress free as possible. 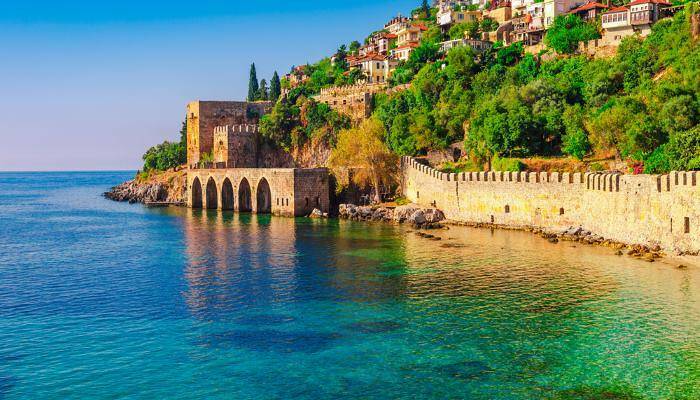 Antalya’s location in southern Turkey means that it enjoys warm climes for longer, and is a great choice for those looking to travel in the later months of September and October. Treat your family to a stay at the five-star Royal Seginus. This hotel sports its own waterpark with a whopping eight waterslides and offers a host of activities such as waterpolo and beach volleyball, meaning that there will never be a dull moment during a stay here. Alternatively, you could stay at the Aska Lara Resort & Spa which has its own amusement park and offers up separate menus at the restaurants for younger guests. Dalaman is home to a dizzying array of dreamy beaches. 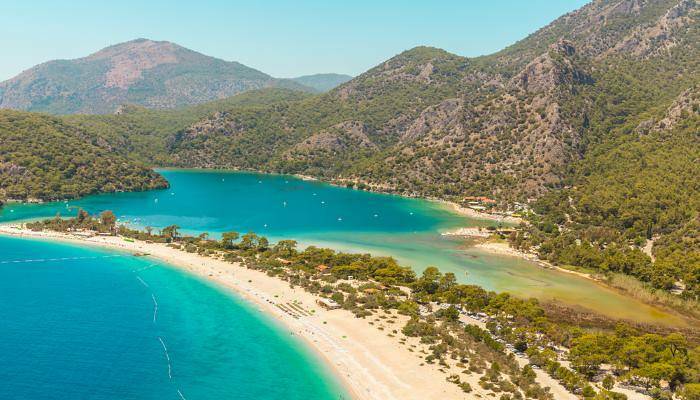 The beach at Olu Deniz (pictured below) sports soft white sands and bright blue seas, and is just a short bus ride away from some of Thomas Cook’s family-friendly hotels in the region. The British Pound has recently strengthened against an array of currencies, the Turkish lira being one of those currencies. This gives you more bang for your buck, allowing you to splash out on meals at local restaurants. Thomas Cook offer holidays to a number of expansive hotels in Dalaman. You can choose from a stay at the SunConnect Liberty Hisaronu where children can join the Lollo & Bernie kids clubs, or the Hillside Beach Club where onsite watersports will appease your teens, whilst younger children can splash around in the dedicated children’s swimming pool.